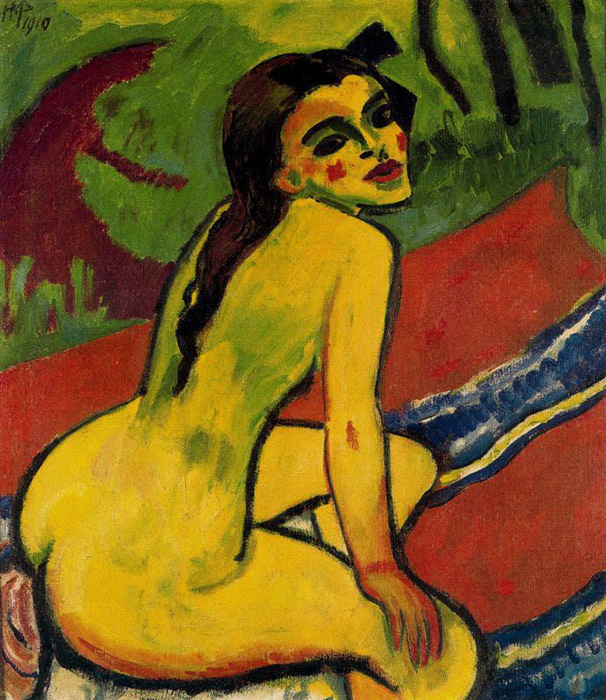 (b Eckersbach, Zwickau, 31 Dec 1881; d West Berlin, 19 June 1955). 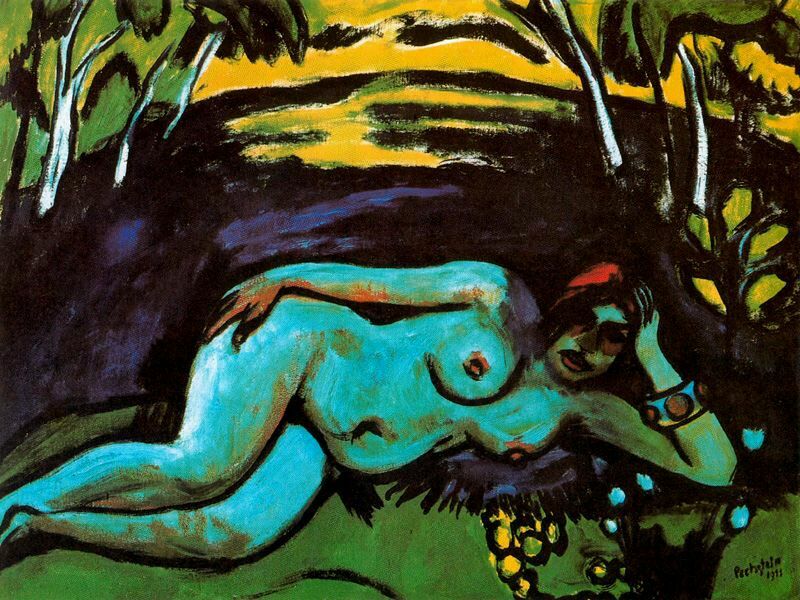 German painter and printmaker. 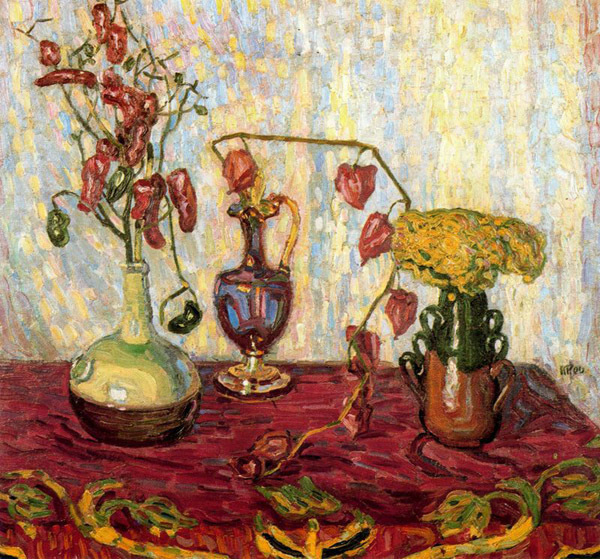 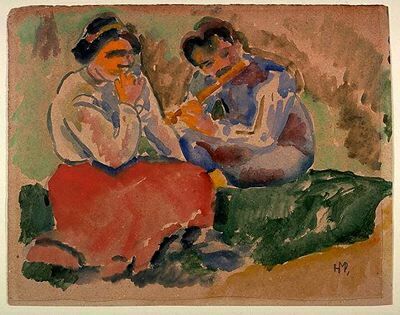 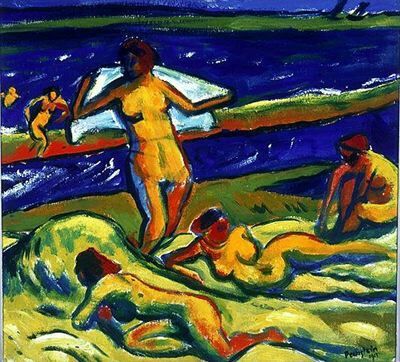 He was apprenticed as a decorator in Zwickau from 1896 to 1900, when he moved to Dresden to enrol at the Kunstgewerbeschule, where he met the architect Wilhelm Kreis and the painter Otto Gussmann (1869–1926) and obtained decorative commissions. 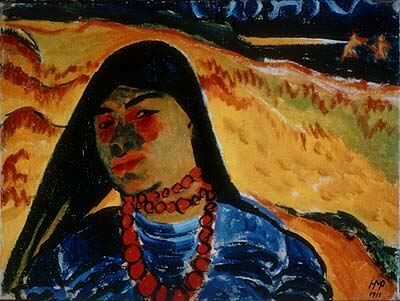 He continued his studies from 1902 until 1906 as Gussmann’s pupil at the Dresden Kunstakademie. 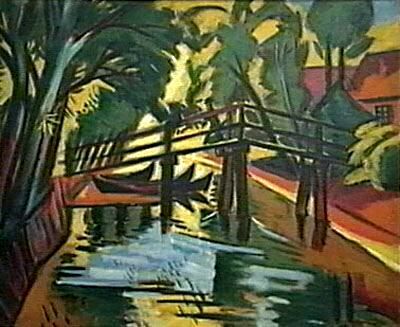 Through Kreis, Pechstein was introduced to Erich Heckel in 1906 and was invited by him to join DIE BRUCKE, a group founded in the previous year that was quickly to become a major force in the rise of German Expressionism. 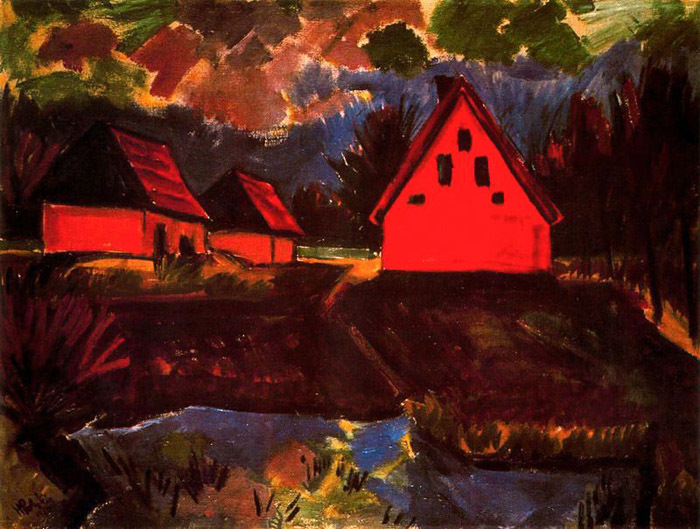 The founders of the group were all architecture students, leaving Pechstein as the only member to have received formal academic training as a painter. 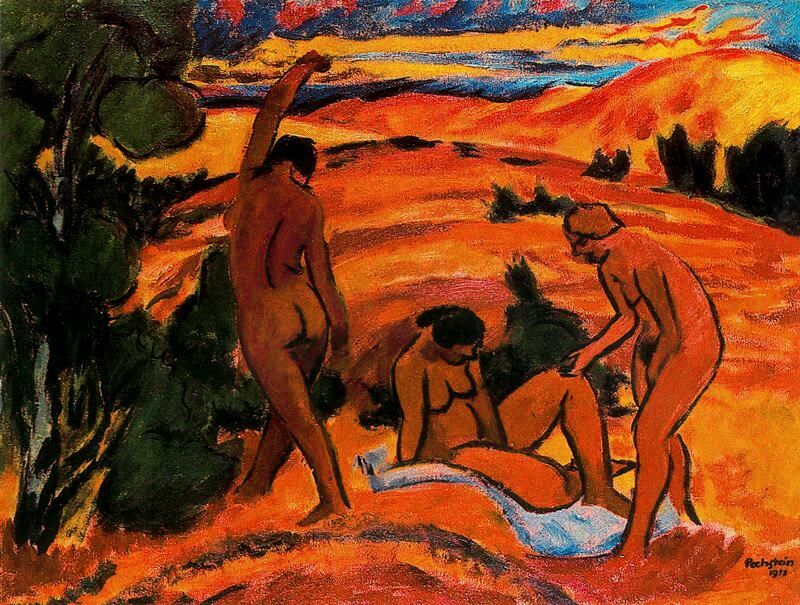 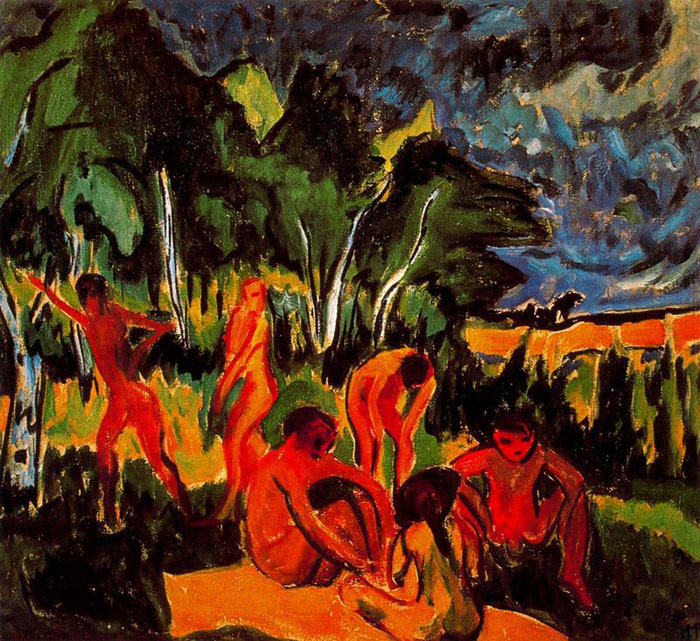 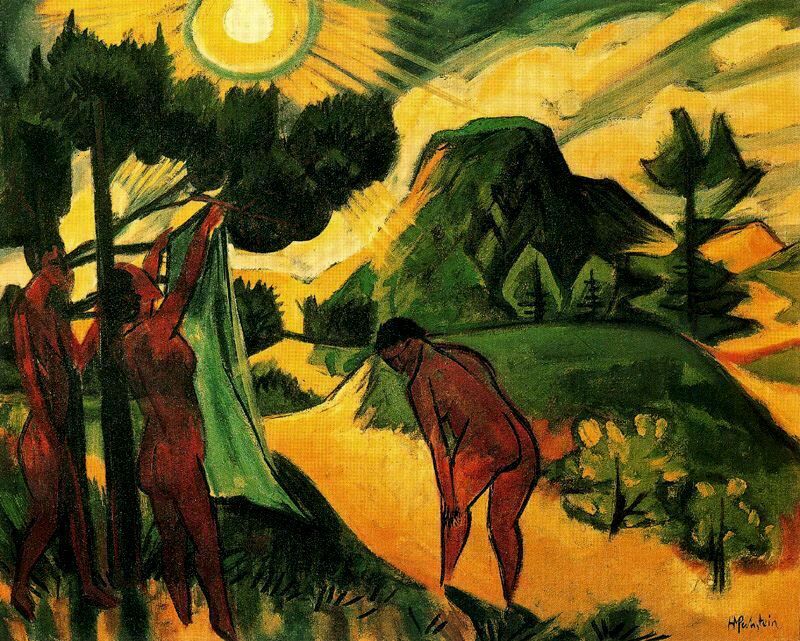 He remained closely involved with the group until 1910, drawing and painting in the studios of Heckel and Ernst Ludwig Kirchner in Dresden and also working communally with them en plein-air; together with Heckel and Kirchner, for example, he spent some weeks during summer 1910 painting naked bathers at the Moritzburg lakes near Dresden. 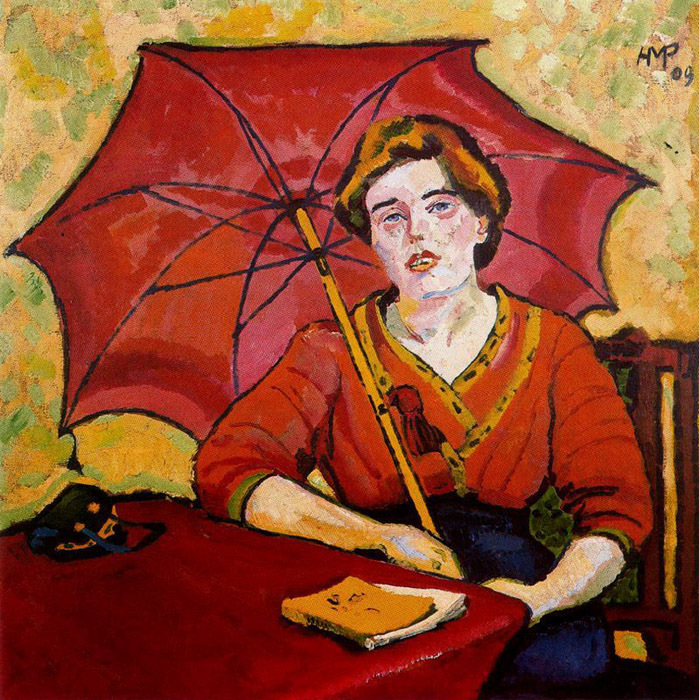 Paintings produced by Pechstein at this time, such as Girl in Red at a Table (1910; Essen, Mus. 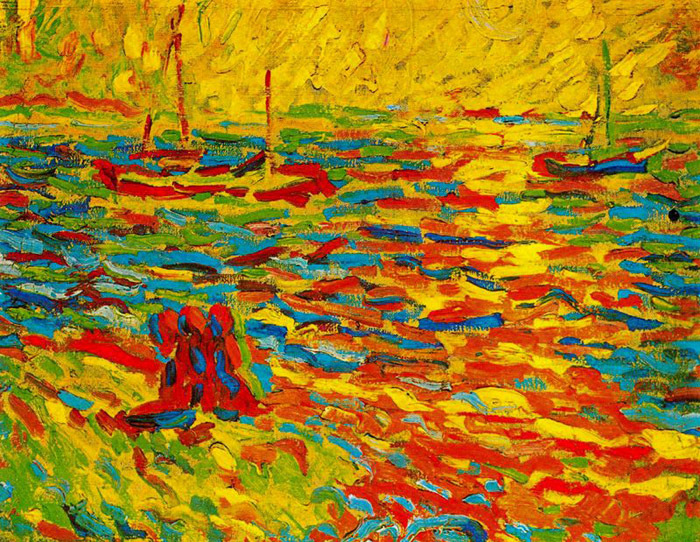 Flkwang), are very close in style to work by other Brücke artists and are among the most important paintings of the group’s communal period.